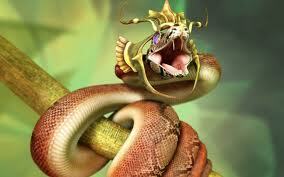 The Sanskrit word for serpent or cobra is bhujanga. One of the first back bends we work on in Yoga asana practice is Bhujangasana, or a modified cobra, called a Sphinx pose. Both the snake and the sphinx are ancient, feminine symbols. 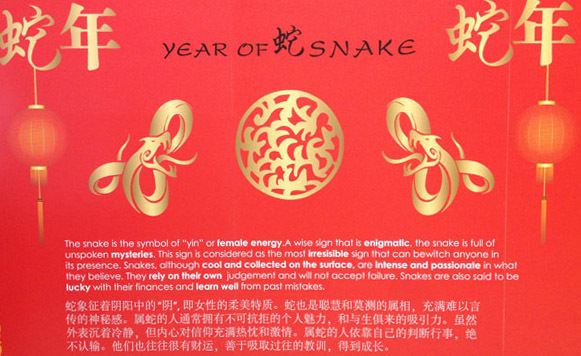 Snakes ability to kill with venom and to move with stealth are the negative aspects associated with snakes, and, within many traditions, aspects bestowed on women. 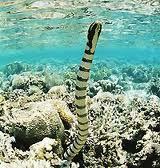 However, snakes are high vibration creatures whose every aspect is sensitive to energy. A snake’s tongue analyzes the elements of air, water and the earth. As a symbol, the tongue is regarded as the flame holding the power to cleanse and destroy. The tongue is connected with wisdom and words. A snake’s skin detects small movements by sensing vibrations through the ground. 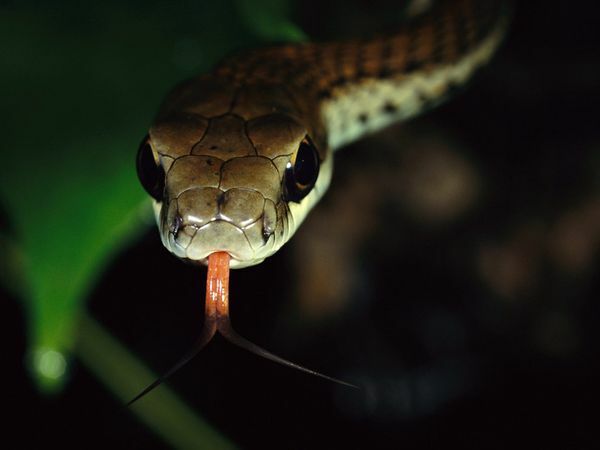 Some snakes “see” their prey’s subtle energies through infrared sensors. As the snake worships the sun; its body is heated or energized by the sun’s rays. While doing bhujangasana, we want to maintain our vision of the cobra and its long skeleton supported by a fantastic, muscular structure that allows it to move 360 degrees. Without the support of arms or legs, the cobra can lift its body off the ground and gracefully sway. Desert snakes travel across the sand in a sideways motion while others can wind itself around a tree branch – or its prey. Bhujangasana opens the heart. The confidence we experience doing backbends moves from the physical to the emotional body. On a deeper level, as we become more snake-like, our ability to detect subtle energies increases. Interestingly, as we move into the second month in the year of the water snake, three different workshops are being offered in the region to help us activate our hearts. Depending on where you are in your journey of consciousness, each provides a heart opening at a different level. Let your heart lead you to the workshop that feels right for you. The Illuminated Heart will be taught in English by the Italian Irene Viglia. Illuminated Heart focuses on remembering who we truly are, why we are here, where we come from and how to proceed in this constant Path of Soul evolution. Jikiden Reiki Level I and II will be taught by Frank Arjava Petter at the Bahrain Wellness Center. It is a great opportunity to awaken your natural energy channels and use energy to heal your family and friends. Frank’s new book This is Reiki was published at the end of 2012. For course details, see Frank Arajava’s Website. March 21-23 – Yogeswari will be teaching a Jiva Mukta workshop in Doha. The Jiva Mukta school practices non-violence or compassion which is centered in the heart. See my post Yogeswari in Doha at Yama Yoga Studio. 2013 Meditations for Women still is open for registration this week. Eva I am SO SO excited you will be taking the “Awakening the Illuminated Heart” workshop!! I’ve taken it twice and it shifted my world big time… its so beautiful remembering MORE of who we really are and what we can do! You are why I am going. I can’t believe a teacher is coming here. When I saw it I knew I had to go. I am so curious to experience what happens. I will let you know.